We reached out to one of Georgia’s most well-known cannabis reform leaders to get his take on the dizzying number of medical marijuana bills introduced this year. A leader in Georgia’s reform movement for more than 30 years, nobody knows more about what’s going on with marijuana under the Gold Dome than James Bell. James is the Executive Director of the Georgia Campaign for Access, Reform and Education (Georgia C.A.R.E. Project). Here’s a rundown of what is being voted on this legislative session. Filled by Rep. Peake, this yes or no public vote has the potential to change the Constitution of Georgia to authorize the General Assembly to provide a law for producing, regulating, and selling cannabis to individuals who qualify for medical marijuana. If it passes—that is, if it obtains two-thirds approval from both House and Senate—voters could be deciding on medical cannabis as early as 2018. This second Bill filed by Rep. Peake aims to expand the access of medical marijuana to patients with conditions outside of the scope of those specified in House Bill 51 (2015). 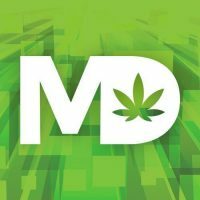 Senate Bill 16 aims to amend the Official Code of Georgia Annotated, relating to the regulation of what lawmakers define as “low-THC oil” and the provisions relating to the conditions eligible for therapeutic low-THC oil. The amendment could reduce the allowed amounts of THC found in cannabis oil from 5% to 3%. This is the only bill not supported by the Georgia C.A.R.E Project. Bell established the Georgia Campaign for Access, Reform, and Education in 2012 after Colorado and Washington State voted to legalize. He has testified before legislative committees, speaks at college events and works with the media as a consultant. Bell has been instrumental in helping to draft reform legislation in Georgia. You can connect with James and get involved in the burgeoning marijuana reform movement in Georgia by visiting the Georgia C.A.R.E. Project website at GaCAREProject.com. Please please put glaucoma on the list. The pain that comes with , the pressure in the eyes, well you know…..We beg you to allow this . Also for the anxiety and depression that we live with daily. We are Americans , all we ask is for a weed to make us feel well. Just think of the money the state will make from us. Reference weed for glaucoma: My eyeball pressure in high 30s: (.danger of losing sight). With proper care by retinal specialist and eye drops and seeing an Ear. Nose @ Throat specialist for sinusitis ( which causes eye pain although there may be no symptoms) no more glaucoma! I did not need weed. I am not against medical use of weed if the selling facility is regulated and liscensed but I do oppose it for receational use. People who are able to get out and go buy it probably do not need it. If WEED CAN BE USED BY ANYONE REMEMBER THIS: IF YOUR CHILD IS KILLED BY A DRIVER OF ANY MOVING VEHICLE WHILE THE DRIVER IS HIGH ON WEED, IF YOU AND YOUR FAMILY OR FRIENDS ARE KILLED BY PUBLIC TRANSPORTATION ACCIDENTS BECAUSE THE OPERATOR (PILOTS, SCHOOL BUS DRIVERS. ENIGINEERS OF TRAINS. ETC, WERE “STONED”, LOOK UP TO WHATEVER GOD YOU BELIEVE IN AND SAY ” I ASKED FOR THIS WHEN I VOTED FOR LEGAL USE OF RECREATIONAL MARIJUANA. We tend to forget the harm the use of marijuana can cause to innocent bystanders. Sure it mellows you out and calms you down but the BIG downside of it is it SLOWS DOWN REACTION TIME AND CAN GIVE YOU A DISTORTED FEELING OF TIME. Do you really want those people operating any kind of motorized vehicle?? How can you tell if they are stoned or not stoned?? Vote medical use only with verifiable doctor prescriptions and state liscensed facilities. So…. You say what gives me the right to judge? Not judging but being an emergency room nurse for twenty six years and seeing the horrible results of the harm to others caused by “STONERS” does it for me.